Congratulations!!! HOll had passed the annual survey of ISO 9001: 2008 in September 2015. New certificate have arrived. Its valid date is from Oct, 2015 to Oct, 2018. HOll was passed the annual survey of ISO 9001: 2008 in September 2015. The new certificate will be arrived soon. HOll has been passed and got the certificate of ISO 9001: 2008 since October 2012. 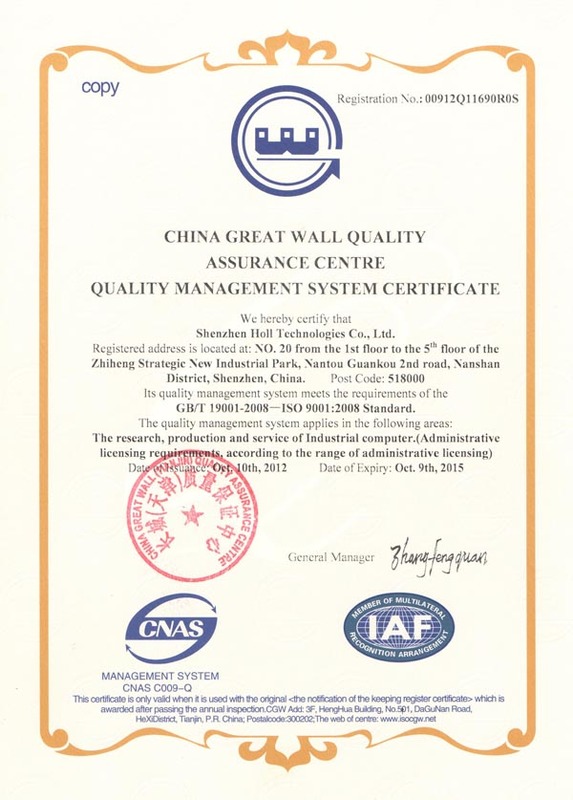 Holl is a member of ISO¡ª9001£º2008 quality management system, The products are certified CCC¡¢CE¡¢FCC, RoHS.